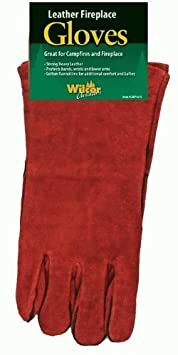 Imagine you are wearing a “heatproof” glove designed specifically for handling hot items around a campfire. Now imagine reaching into the fire to pull out one of those fold-up campfire toasters and realizing that the heat was searing right through those gloves. Not a pretty picture, is it? In my opinion, there is no worse “minor” injury at a campsite than a burn. Cuts and scrapes can be patched up. But a burn in the wrong place can be downright debilitating. As soon as I realized how bad the burn was, I jammed my finger in ice water. Step one of any burn treatment is to leech out the heat as quickly as possible. Luckily, the nighttime temperatures dropped into the low 40’s, so cold water was not hard to come by. Then I recalled that Baking Soda and Vinegar were both cited as home remedies to relieve burns. 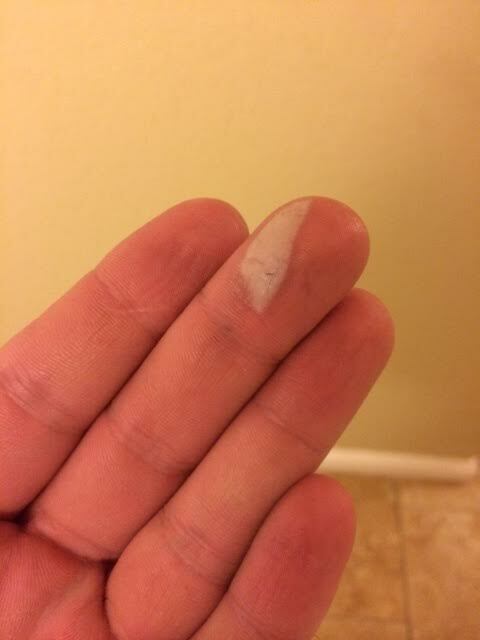 I realized that while my finger was submerged, the pain was minimal, but as soon as I took it out of the water, it flared up again. I needed something more, so I quickly poured a teaspoon of baking soda into a cup and filled it with just a small amount of cool water. The mixture made a paste. Since I was one-handed at this point, it took a little bit of work to mix it together, but once the salve was finished, I jammed my hand into the DIY ointment and felt cooling relief immediately. So I grabbed my vinegar and poured it on the burn without first removing the baking soda. As soon as the two substances met, they fizzled, but in all honesty, I didn’t feel like it improved my pain level one bit. So I quickly washed off my finger and reapplied a bit of the baking soda “paste”, laying it on thick. Then I wrapped it in a bandage to make sure the salve wouldn’t drip off the wound. I didn’t feel the pain of the burn again that night. And when I woke up the next morning, I had no pain whatsoever. A day later, the blister popped on its own. For the rest of the trip, I had full use of all ten fingers, even foregoing bandages for the blister. I don’t know if my home remedy is backed by a ton of medical science. I’ve read blogs that say it is either the best way or the worst way to treat a burn. But I know it worked for me. I also know that the next time I get a bad burn, I am reaching for the baking soda.